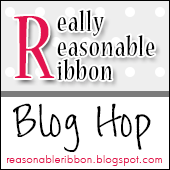 Really Reasonable Ribbon February Blog Hop! 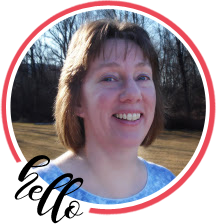 Welcome to the RRR February Blog Hop. If you arrived here from Amber’s blog, you are on the right track. If not, why not head back to the RRR Blog and start from the beginning so you don’t miss any of the terrific projects. This month the Really Reasonable Ribbon Monthly Ribbon Club Assortment is a mix of purple and green. Possibly my all time favorite color combination!! Not a member of Ribbon Club yet? Join today!! This is the perfect way to build your ribbon stash so you always have just the right color and style for every project. I was having so much fun I made 3 projects this month. My bows were made on my Bow-it-All V2.0. To view all my Bow-it-All video tutorials, visit my YouTube channel. I have a brand new Double-Loop Double-Layer Bow Tutorial out which will show you how I created the plaid bow below. And of course my Woven Ribbon Headband of the Month! This would be prefect for St. Patty’s Day as well as all summer long. The shimmer in the kiwi shimmer satin is so nice in person. I wish it would photograph as good as it really is. You can find a video tutorial for this headband HERE. This one was made using a 3/4″ White Plastic Headband. Thanks so much for stopping by today. Your next stop is Karen’s fabulous blog. Beautiul card! And that ribbon! Love the color choices here. Thank you for joining the Aloha Friday Challenge. Beautiful cards…both of them. ANd that head band!! wowzers.